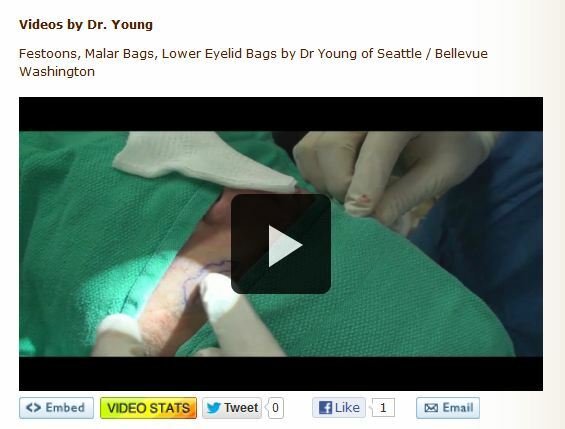 We are excited to release our new website www.theyoungvitalizer.com by Dr. Young Seattle Facial Plastic Surgeon. 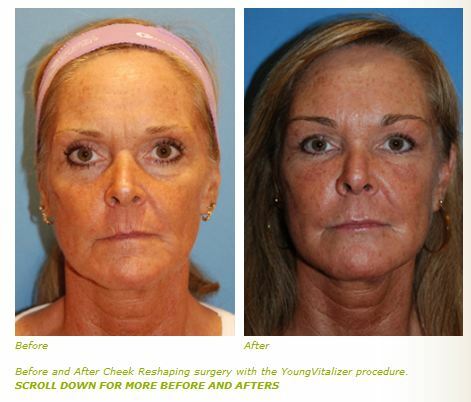 The Young Vitalizer is a Breakthrough Incision Less Face Lift. This minimally invasive procedure can rejuvenate your face in a natural way making you look up to and sometimes more than 10 years younger. It can be a minimally invasive substitute for a mid face lift, face lift, cheek implants, facial implants, lip augmentation, brow lift, eye lift upper / lower, etc. You can learn more about the YoungVitalizer with this introductory video, An Introduction to the YoungVitalizer. The YoungVitalizer was founded by me because I discovered some important things when I was training in Los Angeles under the tutelage of very famous plastic surgeons including Paul Nassif, Mark Berman, Stephen Pincus, etc. What I was noticing among the stars was that these people with access and all the money and fame in the world were still looking strange after plastic surgery. In my mind, there had to be something wrong with this picture. So I sought out to find out why. This idea ultimately culminated in me discovering my theory on facial beauty called the Circles of Prominence. This theory was the foundation of improving facial aesthetics and it is the source of energy and ideas that have developed our technique, The YoungVitalizer. If you watch your video on the Introduction it will expand your mind. You can also learn more on our sister website www.drphilipyoung.com and look under our philosophy page to read about Dr. Young’s theory. The suture suspension lift most likely refers to a midface lift and there are many ways to do this. You can do it in a minimally invasive way through incisions in the scalp by the temple area. All is needed are very tiny incision near your nasolabial folds to allow the sutures to pull up the middle part of the face. Data on how long this lasts is not sufficient. Most surgeons believe that effect is not as long lasting as other procedures. A midface lift that is done traditionally can be done through incisions in the lower eyelid. This requires the middle part of the face to be released from the bone and then suspended to more superior structures. This can help the nasolabial folds and elevate the midface cheek fat. The results from this, in my opinion, are modest. The reason for this is that the midface issue is really mostly a problem of volume. Fat injections placed in the midface is a good option but not entirely perfect. Implants can give the sufficient volume that is needed to replace what is lost in the midface area. But you have to feel comfortable with implants in your face. The deep plane smas lift is very difficult to do and if you go to someone that doesn’t have a lot of experience with this it could be dangerous. When done correctly, you can get a lot of release and pull on the nasolabial fold area and this can lift the midface in a more lateral and superior direction then just superior. Most surgeons believe that the deep plane facelift will last longer than any suture only facelift 2-5 vs 8-10 year or more respectively for the suture lifts vs the deep plane. These numbers are a pure estimation though but are somewhat supported by scientific review. I refined an amazing volumizing procedure called “the YoungLift”. This is an innovative technique that volumizes your face to bring out the younger and natural you without looking like you had something done. This is not a facelift and requires no incisions. Only pinpoint puncture sites are used and these heal imperceptibly. The YoungLift can be done without general anesthesia and without drains, and large bandages. You also have a lot less downtime and discomfort compared with traditional facelift procedures. I employ the very best techniques from around the world into one volumizing procedure and he uses his internationally acclaimed understanding of facial beauty to create the youthful volume you once had. The YoungLift techniques can help with filling up the lips as well. You can great results with fat injections in the lips. Volumizing for the midface is one of the best ways to rejuvenate this area. Facial Fillers and Fat Transfer procedures can markedly bring youth to this area in a natural way. Dermal fillers are a non surgical way to do this without long incisions but the effect is short lived lasting from 6 months to a year or more, depending on the product. Fat injections are another option that also requires no incisions just small puncture holes to achieve beautiful results that can last years up to 10 years or more. Volumizing is a great alternative to midface rejuvenation. I refined an amazing volumizing procedure called “the YoungLift”. This is an innovative technique that volumizes your face to bring out the younger and natural you without looking like you had something done. This is not a facelift and requires no incisions. Only pinpoint puncture sites are used and these heal imperceptibly. The YoungLift can be done without general anesthesia and without drains, and large bandages. 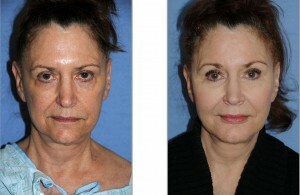 You also have a lot less downtime and discomfort compared with traditional facelift procedures. Dr Young employs the very best techniques from around the world into one volumizing procedure and he uses his internationally acclaimed understanding of facial beauty to create the youthful volume you once had. Fat transfer could be your answer. Many times, the cheek area and lower eyelids appear the way that they do secondary to a loss of volume in those areas. Fat transfer is the best thing to make the area look natural. It’s not magic, but when done right and with enough attention, it can seem like magic. A midface lift, in my opinion, results in less than optimal improvement of the area. You can’t really take that much skin from a midface lift. Also, with a midface lift you can end up with eyelids that are pulled down like a hound dog. It also doesn’t look natural and you often get bunching in the lateral eyelid area. I think that a midface lift is only beneficial when you need to improve the lower eyelid when there is a problem with the lower eyelid function. Once you plump up your midface with fat, you can concentrate on improving the acne scars with different types of procedures including resurfacing and excision of your scars. Facial Implants can help restore loss volume. They require small incisions in the mouth or other ares but mostly for the midface the implants can be placed through the mouth and sometimes through the lower eyelid area. Silicone implants through Implantech are the types that I usually place. These implants have a long history of success with low rejection and reactions. I refined an amazing volumizing procedure called “the YoungLift”. This is an innovative technique that volumizes your face to bring out the younger and natural you without looking like you had something done. This is not a facelift and requires no incisions. Only pinpoint puncture sites are used and these heal imperceptibly. The YoungLift can be done without general anesthesia and without drains, and large bandages. 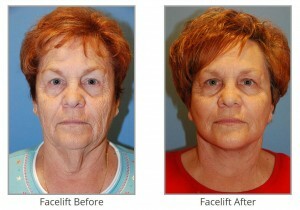 You also have a lot less downtime and discomfort compared with traditional facelift procedures. I employsthe very best techniques from around the world into one volumizing procedure and he uses his internationally acclaimed understanding of facial beauty to create the youthful volume you once had. The YoungLift can also be used to volumize the midface area to bring out the younger and natural you.